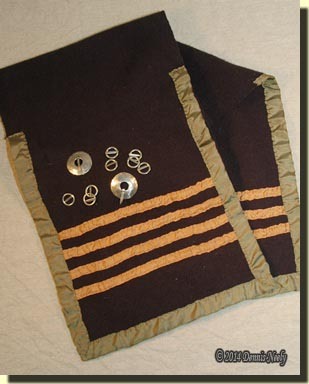 The step-by-step instructions on making and decorating breechclouts are well underway. Be sure to check them out under the “How-To” section in the site’s navigation bar. The discussion starts with a heavily documented introduction to the clout as it relates to returned native captives. The post goes into a little more detail about how I arrived at the design and ornamentation of the breechclout that I have used for the last two-plus years. I included some of the questions I ask myself when creating a living history persona and some of the thought processes I follow when making clothing or accoutrement decisions. In trying to keep the How-To instructions relevant to a broader range of characterizations, cutting out the basic breechclout and how I decided at the dimensions is set apart in its own page. I also included some hands-on discoveries I made in the wilderness classroom. Nothing special, but ideas that I think are worth mentioning. Adding the hand-dyed silk ribbon binding and ornamentation will come next, and I will include some comments on what I discovered with the ribbons and with the trade silver pieces as well. Keep in mind this is just one traditional hunter’s opinion—everyone has a little different way of stepping through time’s portal and returning to yesteryear. 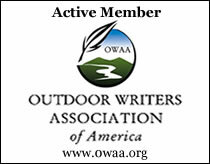 This entry was posted in Clothing & Accoutrements, Research, Wilderness Classroom and tagged Black powder hunting, Dennis Neely, historical trekking, Mountain Man, Native captive, North West trade gun, Northwest trade gun, trade gun, traditional black powder, traditional black powder hunting, traditional blackpowder, traditional blackpowder hunting, Traditional Woodsman. Bookmark the permalink.